In my office I have a picture of early Toronto hanging. It’s probably 3 feet by 5 feet. It’s a really cool piece, that was my dad’s. Here’s a picture of it. But if you look closely you’ll see how lots is similar to today, but lots have changed. City Hall’s still there, but there is no CN tower. There are fewer skyscrapers, and no Air Canada Centre. Lots have changed, or to put it better there has been lots of growth in Toronto’s core. Pictures take a moment and freeze it so you can see what was happening in that specific moment. I sometimes wonder if you could take a picture of my life today what it would show. Or better yet if you were to have taken a picture of my life 5 years ago, capturing all my thoughts, dreams, fears, and desires, what would have grown and changed since then? 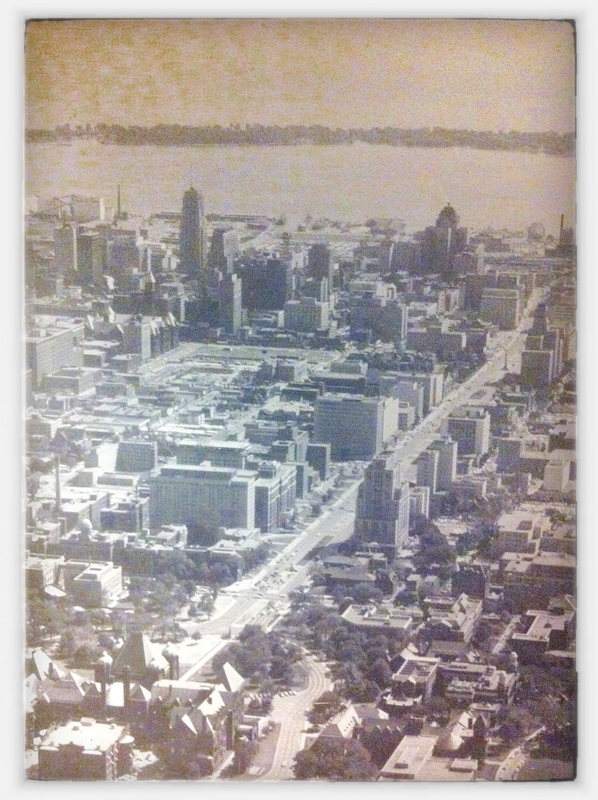 That picture of Toronto catches not only where it was, but serves to function as a grounding for seeing growth. We can do the same sort of thing in our life. Either through journaling, practicing the Ignatian Examen, or simply pausing and reflecting we can discover the growth and change in our own lives. Life slips by quickly, but at a steady pace, that we often miss the changes that have happened over time. We might not notice how dramatically we’ve changed, how God has been faithful, how he’s been focusing on certain parts of our lives. So I’d challenge you take the long view of your life. Sit, grab a coffee, and look back to see where you’ve come. Celebrate the changes, and let go of the mistakes. And take a picture of your life where it is now. Journal where you’re at, make a short video sharing your space, or simply tell a close friend. And then in a year review it, look at how you’ve grown, and where you changed. This is my favorite thing to stare at in your office. After the content of your book shelves!